Poland’s Mazovia Region is one of nine regional actors which have worked together with the Institute for Renewable Energy (IEO, formerly EC BREC), the Polish partner, on the Horizon 2020 project SDHp2m: Solar District Heating – From Policy to Market. On 16 March 2017, IEO organised a workshop where 60 stakeholders from the district heating industry and municipal authorities and researchers met to discuss the details of strategies and activities which could support the development of SDH or solar district heating. 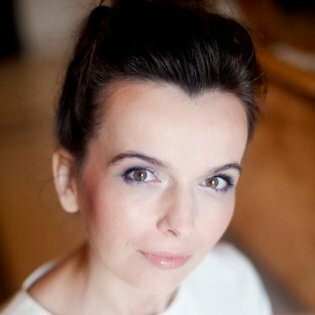 Solarthermalword.org sat down with IEO’s Aneta Więcka to talk about opportunities, barriers and the current situation of the SDH market in the Mazovia Region and the rest of country. Solarthermalworld.org: Is SDH a promising and attractive option for utilities in Mazovia and Poland in general? Więcka: Yes, the opportunities are definitely there. District Heating (DH) remains the primary technical solution for providing thermal energy in Poland at lower particle emissions (PM10, PM 2,5) than individual coal-fired boilers. The largest share in DH (75 % in 2015) is covered by CO2-intensive coal-fired cogeneration plants, whereas renewable heat adds up to only 7.4 %, with a mere 7 % generated from biomass. In 2015, 443 DH companies with a capacity above 5 MWth, had an operating license by the Energy Regulatory Office. Based on data by this government agency, the total heating capacity associated with licensed DH companies amounted to 56 GW (71 GW in 2002). Heat demand has fallen because of the public’s greater awareness of environmental issues and because of stricter efficiency standards for building modernisation. Mazovia looks like a very promising region for SDH due to a high number of DH utilities and networks. Moreover, the local population has high purchasing power and is very aware of environmental issues, but a lack of stable and long-term energy policies has inhibited investment in DH. There is now a change in the regulatory framework, partly influenced by the EU. According to Article 116 of the Polish Renewable Energy Sources Act (adopted in June 2016), heat producers and traders must purchase thermal energy from the grid to which they are connected if the energy comes from waste treatment or renewables, which also creates opportunities for SDH. Lastly, the National Fund for Environmental Protection and Water Management, NFOŚiGW, is preparing a programme to support heating businesses in their efforts to become Energy Efficient Heating Companies, as specified in the European Energy Efficiency Directive (see the chart below). Solarthermalworld.org: Plenty of opportunities – but what are the barriers which prevent an ‘SDH boom’? Więcka: SDH faces special challenges, such as scarce knowledge of the solutions’ technical and economic parameters and high upfront costs. But there are other factors which make for a difficult situation: The economic performance of DH systems drops whenever better insulated or low-energy buildings reduce heat demand in the networks while fixed costs don’t change. 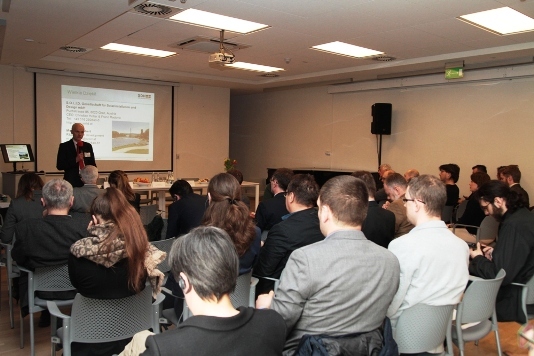 Solarthermalworld.org: Do you have any strategies for an SDH market rollout in Mazovia? Więcka: Yes, we do have a step-by-step action plan. The first step involves the implementation of a pilot SDH plant for demonstration purposes. During this phase, installations might receive support from the National Centre for Research and Development. The second key action is to hold stakeholder meetings and offer capacity building training to demonstrate the economic viability of an SDH market in Poland. If the risks are acceptable, actual investment projects might benefit from subsidy schemes created by the EU or national environmental funds. In conclusion, the key driver for a shift from coal towards solar in Poland seems to be the growing cost of high-quality coal and EU environmental and climate protection regulations. One example is the proposal in the Regulation on the internal market for electricity to gradually exclude power plants producing emissions above 550 g CO2/kWh, something that might start in 2025 if the regulations are finally accepted this year by the EU Parliament and Council. This will encourage the heating and cooling sector to stop investing in coal. All district heating companies marked in red on this map of Poland are not in line with the requirements of the European Energy Efficiency Directive. Utilities must fulfil EED requirements to receive funding from the Infrastructure and Environmental Operational Programme. Solarthermalworld.org: Which type of SDH plant is more likely to be part of the Polish scenario? Large centralised plants like in Denmark or smaller systems connected in a distributed way to the district heating networks? Więcka: In my opinion, Polish DHC operators should invest in large centralised plants as has been done in Denmark in order to achieve economies of scale. The examples from Denmark show us that even Scandinavia’s climate makes it possible to build large and efficient solar thermal systems. The most important aspect is an economic one, as has been highlighted during the workshop. Solar heat at energy costs of 25 to 45 EUR/MWh may be more competitive than conventional DHC heat in Poland, where it costs around 41 EUR/MWh. Solarthermalworld.org: Although you don’t have a crystal ball: What do you think is a reasonable time frame until we see the first SDH system in Poland? Więcka: If DH utilities are looking for a subsidy to build such a plant, now is a good time to invest. The first system is needed for a shift in attitude towards heating systems. We are wondering whether a Polish or a foreign energy company will be the first investor. It will be easier to connect a solar system to a newly built district heating network than to upgrade an existing one. Additionally, Poland is faced with major air pollution challenges especially because of fine particles such as PM 2.5 and 10. Regional and national attempts have been made to try and reduce coal and waste combustion in individual heating boilers. The construction of new SDH plants could be one solution to lower air pollution levels in Poland. Solarthermalworld.org: Is there any concrete project of an SDH system being developed in Mazovia or anywhere else in Poland? Więcka: A good example could be the project under study in the Praga district of Warsaw. This part of Warsaw is very old and has no district heating, as the buildings were set up before the second world war. They are now being renovated, presenting an opportunity for SDH with storage. There are plans to connect part of the Praga district to the existing Warsaw DH network and there is another opportunity to create DH systems based on new power generation technologies. The interview was carried out by Riccardo Battisti, a solar thermal consultant and market researcher working at Ambiente Italia (Rome, Italy). Established in 2001 and based in Warsaw, the Institute for Renewable Energy (IEO) is an independent research group and the main private research institute in Poland with deep knowledge of renewable energy in all its forms, whether it is wind, solar, biogas or biomass. The organisation also has substantial know-how in the field of energy planning, from energy policy and legislation to economic and financial analysis to technical issues and design.